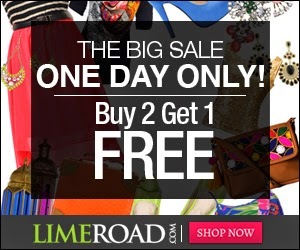 Limeroad is giving buy 1 get 1 off on all the product on there website. This is a massive offer as they do not come up with such offers in past. Directly coming to the point on how to grab this deal. Choose two product and add to cart. Checkout and you have to pay for the one with higher cost.